There are many people harbouring a dream to own their own business. 19.10.2015 - Many look forward to the day they turn the key on their new bar or restaurant, and for these people Tenerife undoubtedly offers an abundance of prospects. The weather, environment and lifestyle combine to make this a very popular destination for new business start-ups, and providing that these new owners choose their business wisely, the year-round flow of tourism can ensure fabulous rewards for hard work. Over recent years the south of Tenerife has changed dramatically with the addition of fabulous new parks, shopping centres and an extension to the motorway. Along with this change have come new opportunities, making Tenerife an even more vibrant place to relocate and grow. Water-sports and excursions are thriving! There are usually exciting business opportunities available within this sector for those who want an active lifestyle. 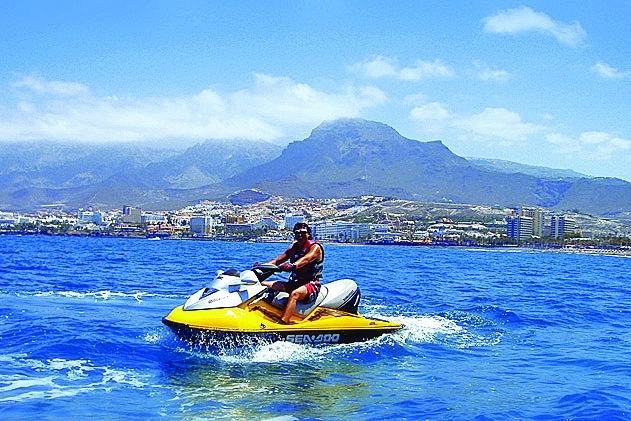 Jet-bikes, buggy tours and speed boat hire are often worth a look. It's possible to buy an already successful business and simply expand on a proven formula. Working from home can sometimes be a suitable option. Opportunities can be found within the cleaning and maintenance sectors as well as internet based businesses such as collectibles or property management and rentals. Many of these businesses generate incredible incomes and have low overheads. There are always amazing, high return new business ventures available! You could write a fabulous business plan based on bottled water vending and where better to do that than in Tenerife. Patented solar panel vending machines could bring you incredible returns for a moderate investment within an exclusive area. Whatever you’re looking for, we can provide you not only with information, but insight into the many diverse opportunities available throughout the south of Tenerife. Contact us now through via our website www.canaryipg.com or email us at info@canaryipg.com. Produced with news.CMS in 0,0661 seconds.